With the NFL season now officially in the books, Pro Football Focus takes a look back at the New Orleans Saints' 2018 campaign. PFF Senior Analyst Mike Renner ranks the four remaining teams at every position group ahead of the Conference Championships. PFF's NFL Team of the Week highlights the outstanding play of individuals at every position over the course of Week 13 of regular season action in the NFL. 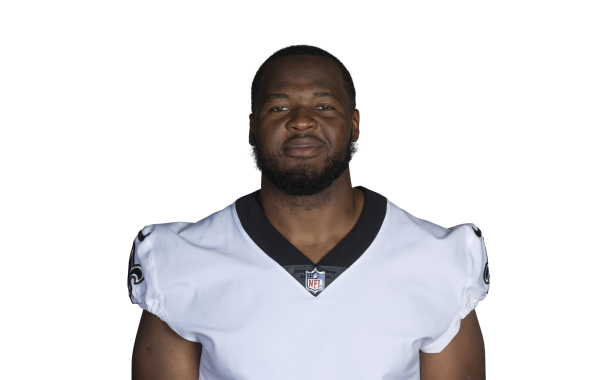 New Orleans Saints interior defensive linemen Sheldon Rankins and David Onyemata are playing well above expectation in Year 3 of their respective careers. The Dallas Cowboys defeated the New Orleans Saints, 13-10, in Week 12 of the 2018 NFL season. Stepping in for PFF Founder Neil Hornsby, NFL Editor Austin Gayle highlights five stars from Week 7 of the 2018 NFL season who have flown under the radar after their performances. The New Orleans Saints defeated the Baltimore Ravens, 24-23, in Week 7 of the 2018 NFL season. The New Orleans Saints defeated the Washington Redskins, 43-19, in Week 5 of NFL action.